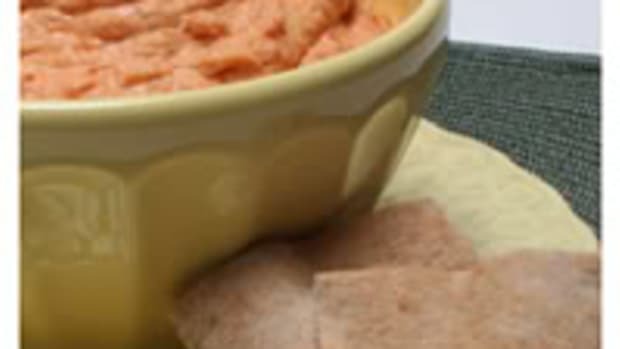 We featured two Middle Eastern recipes last week: Roasted Red Pepper Hummus and Baba Ghanouj. Today’s recipe combines their key ingredients, chickpeas and eggplant. 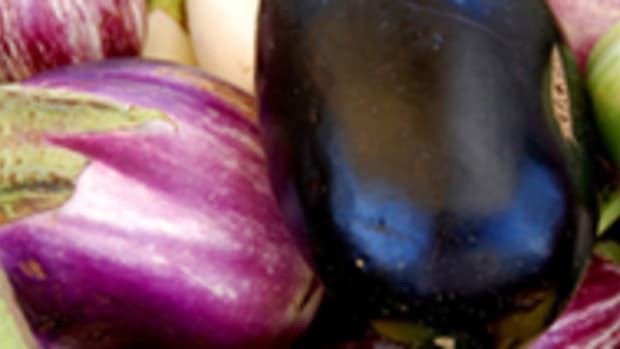 Place the eggplant on a baking sheet. Place the garlic in a square of foil. Add 2–3 drops olive oil, rubbing to coat the garlic. Seal the packet, and place on the baking sheet. 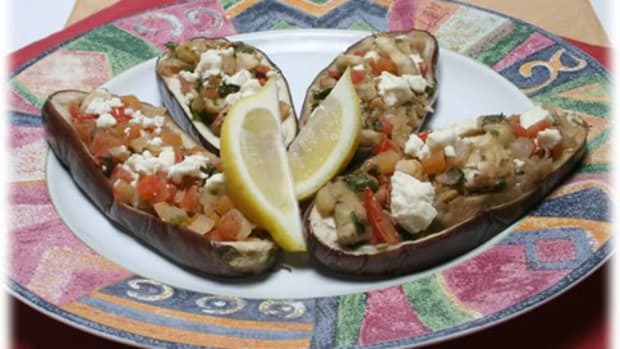 Bake the eggplant and garlic until very soft: 40–50 minutes for the garlic, 60–75 minutes for the eggplant. 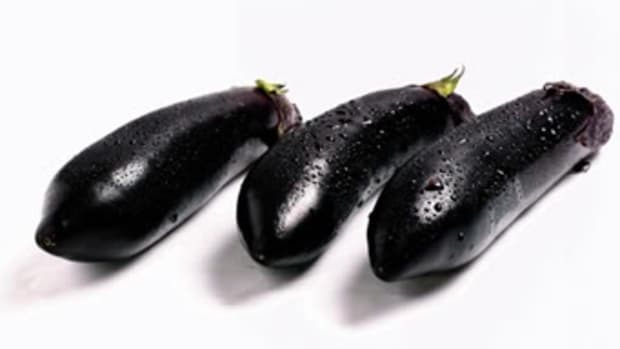 Turn the eggplant 3 to 4 times so it cooks evenly. 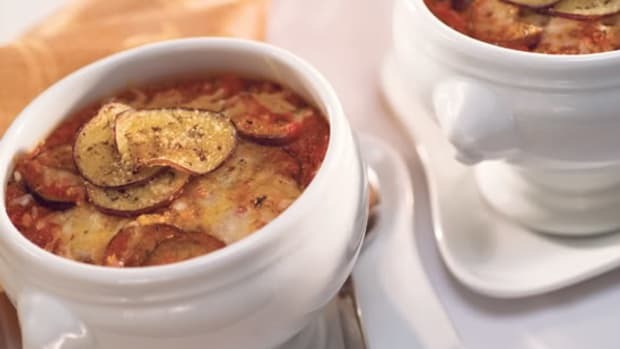 Place the eggplant in a bowl; slit it open and set aside to cool and drain. Discarding the drained liquid and skin, place the roasted eggplant in a food processor. 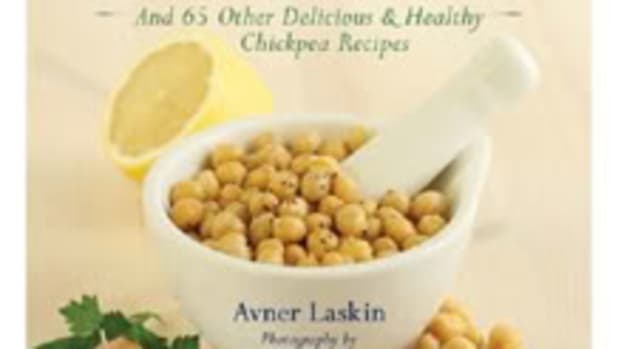 Squeeze the garlic from its skin and add, along with the chickpeas, tahini, yogurt, cumin, and 1 tablespoon of lemon juice. Whirl until the hummus is smooth and fluffy. 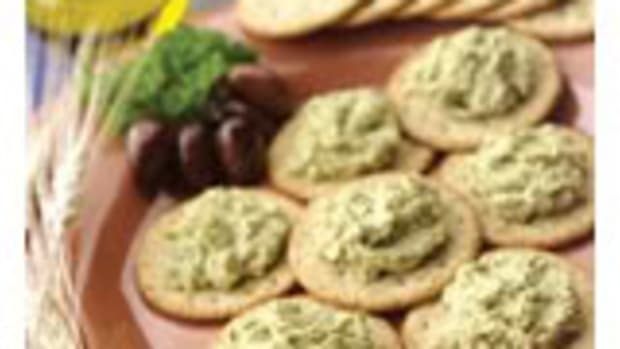 Season the hummus to taste with salt, pepper and additional lemon juice, if desired. 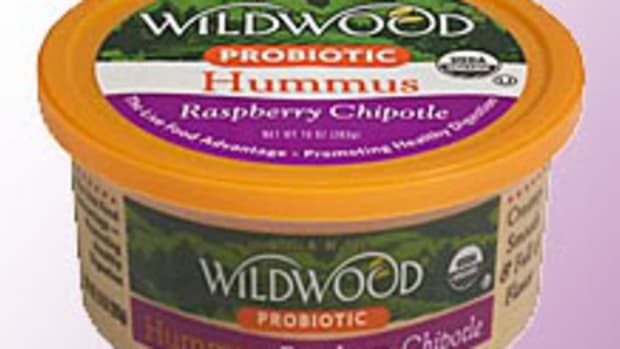 For best flavor, refrigerate hummus 4 to 24 hours before serving. Serve accompanied by toasted whole-wheat pita bread and raw vegetables.